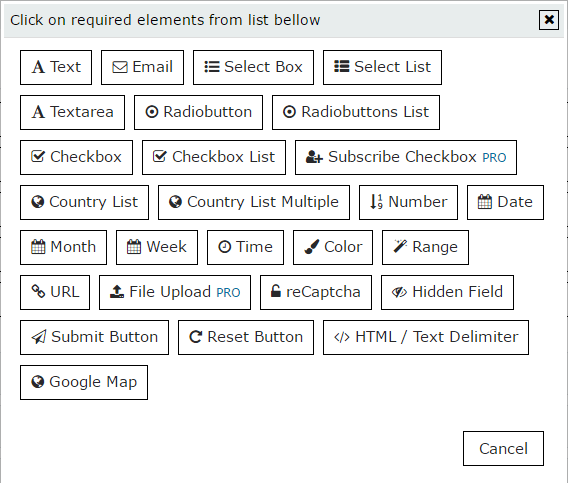 In WordPress, navigate to Plugins > Add New. Search for “Contact Form by Supsystic” and click install. When the installation has completed click “Activate Plugin”. You will have a new admin menu item titled “Contact Form by Supsystic”. In your personal account on the supsystic.com, you will find a unique download link after purchase. After downloading the file (supsystic_contact_form_pro.zip), navigate to Plugins > Add New > Upload and upload the file. When the installation has been completed, click “Activate Plugin”. What do you get with Contact Form by Supsystic Pro? A/B Testing function – it would be easy to check that form works better! On the left navigation menu click “Add New Contact Form”. Enter the name of form. Choose one of the amazing templates you have for different needs and site styles. Of course, during the next steps you can change the template, design details. Do not forget that you have a preview mode below these options! Google Map – add a map ceated with Google Maps Easy plugin. Read more about Fields Settings. Below all this stuff you can see the whole view of the message you will send and also you can send the copy of it. Check these articles to read more information about Submit Options tab where you can use Publish Content and Registration features. Contact Form by Supsystic allows you to monitor information about your submitted contacts. More details about this ability are here. Remember! After you change this option – your new subscriber will have more privileges than usual subscribers, so be careful with this option! You can view more details about all this options by clicking here. With the help of this feature you can easily create different forms with conditions to meet the needs of the most demanding customer. Сonditional logic provides the ability to show certain fields, depending on the value of some other fields. It’s a great way to make complex forms more compact, and present the user with only the information he is interested in. Check more information about Conditional Logic. 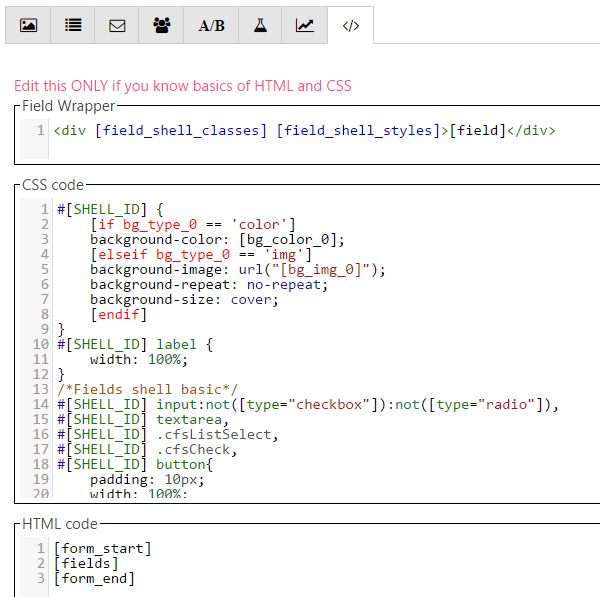 CSS/HTML Editors Contact Form by Supsystic allows you to edit code of contact form – ONLY if you know basics of HTML, CSS and have knowledge of the rules of template editing described here. After changing the settings of contact form don’t forget click “Save” button. Clone the form – click on the “Clone” button on the top, enter the name and click OK. On the “Show All Contact Forms” tab in left navigation menu will appear copy of this form in the list and you will be redirected to this copy. 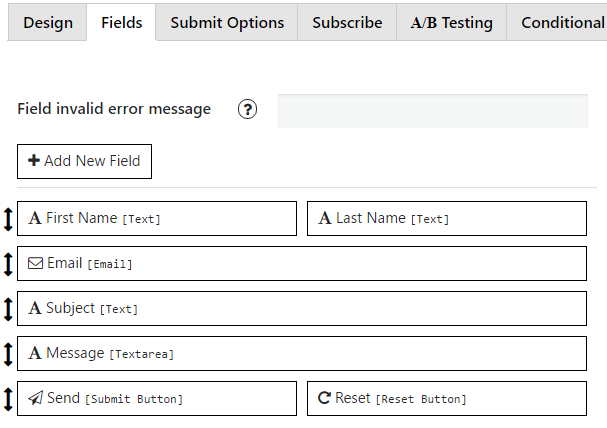 Disable contact form (not delete, but just disable) – click “Turn Off” on the top and contact form will be disabled. To enable it again – simply click “Turn On”. After you change some settings – with contact form plugin, you can immediately see the result in a live preview at the bottom of the page or click Preview button. Under the window with image preview you can see the contact form shortcode. 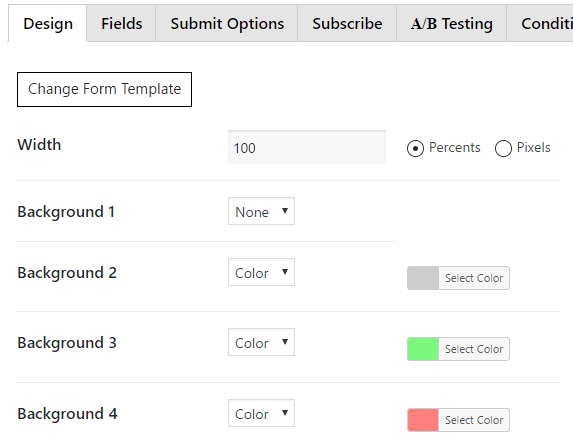 Copy and paste the shortcode into your post or page and WP Contact Form plugin by Supsystic will automatically create the contact form on your page using the settings you choose above. Important! Shortcode must be inserted in a text editor page, and not in the visual one.